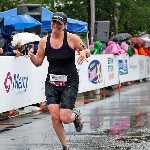 This year I'll be participating in the 12th Annual Maine Cancer Foundation Tri for a Cure. Maine Cancer Foundation is committed to reducing cancer incidence and mortality rates in Maine, with 100% of funds raised by the Foundation used to benefit the people of Maine. They lead a state-wide effort to advance the most promising and effective cancer-fighting efforts available through a combination of grant-based financial support and coalition building. MCF's Challenge Cancer 2020 initiative is working to reduce cancer incidence and mortality in Maine 20% by 2020 through prevention, screening and early detection, and access to the highest quality care for every Mainer.